Hi!! I am super excited to share this Yummy note card set today at CricutDiva!! 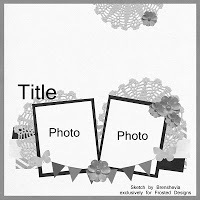 I am also sharing this card set with my dear friend Sheila at She's A Sassy Lady today! I made a set of 3x3 cards with truffles on them from the Cricut Imagine Yummy Cartridge. I printed out the light pink distressed-look pattern on white cardstock to use as background paper for my cards. I cut them to 2 7/8" squares and adhered them to my note card (3x6 folded in half). I printed and cut out the three truffles and mini cake at 2" each. I inked the edges in Vintage Photo ink, and added a little stickles to each piece and let dry. I got the We R Memory Keepers Envelope Punch - super cool new toy!!! I wanted to make envelopes for my little note cards. I made a little folder to keep the card set in - this makes a great gift idea!! I started with a piece of Kraft cardstock and cut it to 8 1/2" x 6". Placing the paper horizontally on my Score Board, I scored 2" up from the bottom to create the pocket. I turned the paper to score the fold lines. I scored at 4 1/8" and 4 3/8". I also linked up my card set at Sarah Hamer Designs!! 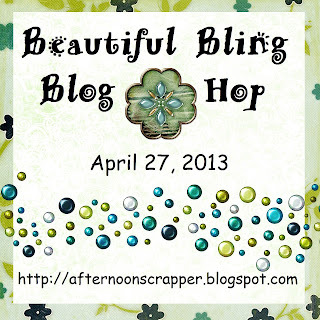 Hello and Welcome to the Beautiful Bling Blog Hop!! If you are looking for the Felicity's Be A Blessing Blog Hop, please go HERE. 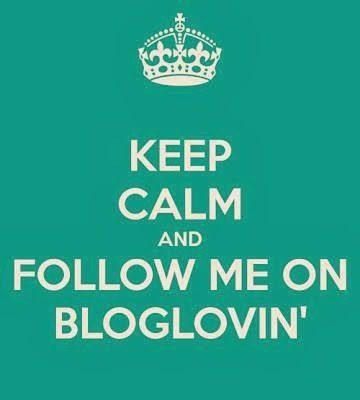 Welcome to the Beautiful Bling Blog Hop!! April's birthstone is a diamond, so we added some bling to our projects! In this hop, you will see some BLINGY projects with rhinestones, stickles, glitter and more!!! You should have arrived from Tricia's blog. If you found me first, hop over to the beginning and see Melanie so you don't miss anything!! Here is the complete line up in case you get lost! I used Nursery Tails and my Cricut Imagine to print and cut out the baby girl pieces. I bought this chipboard album at Michaels. One side of each page is covered in canvas, the other side is blank chipboard. I flipped every other page so the canvas was next to canvas. The blank pages were covered with a pink cardstock. I used some patterned paper to create photo mats and a pocket. The bib and bottle are pop-dotted on the corners of the 4.25 x 4.25 inch square. I did not stick down the pieces that overlap the mat so a photo can go under them. You can see that I inked the edges of the pages in bright blue. I added a butterfly from my stash on the back. The Baby is from Cricut Alphabet. I added my bling to the cover. I put gems on the bodies of the butterfly and dragonfly as well as BABY. Your next stop is Pamela! Welcome to Felicity's Be A Blessing Blog Hop!!! 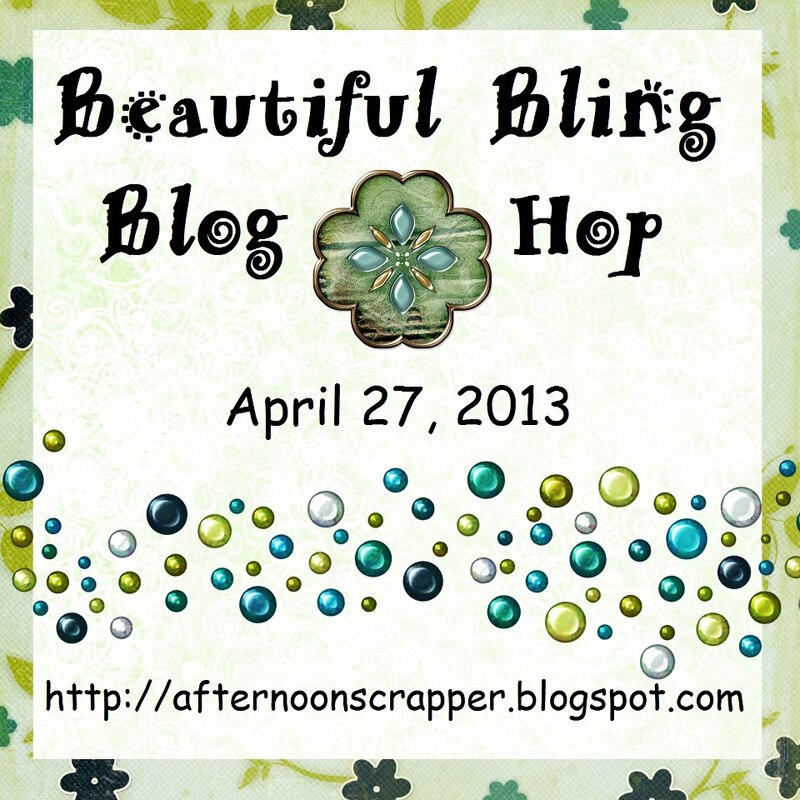 If you are looking for Beautiful Bling Blog Hop, please go HERE. You should have arrived from RACHELLE. If you found me first, please go to the BEGINNING so you don't miss anything!!! Welcome to Felicity's Be A Blessing Blog Hop!! Today we are celebrating a very special little girl's first birthday. She has had a difficult fight this past year and we felt what better way to celebrate her life than have a blog hop! Felicity has touched many lives even though she is not even one yet. Every day she makes therapists, doctors, and even her family smile. The purpose of this hop is to be a blessing. So the way to win our blog candy will be for you to be a blessing to someone around you. Then photograph how you have been a blessing with either a craft project or taking a meal to someone, etc. Share it with us and that gives you an extra entry besides leaving comments on all the hop stops. Blog candy for this hop is one paper pack and April Showers Cricut Cartridge. 2. Come back and post how you blessed someone else with a link. For my project today, I am making a project for the patients and their families at the Arkansas Children's Hospital. I am being a blessing to my friend Sherry Honeycutt. 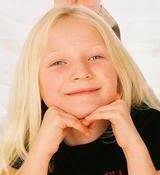 Sherry's house burned down in 2004 and her precious Macy died in the fire just weeks after her 7th birthday. Sherry and Macy's twin brother Andrew were treated at the Arkansas Children's Hospital and both recovered from their injuries. Sherry is hosting a Card Drive in memory of Macy to benefit the current patients and families at the hospital. It's time for the 2nd Annual Cards for Kids for Arkansas Children's Hospital in memory of my daughter, Macy. You can help by either making handmade cards (will take store bought as well) and sending them to me, donating goods (their wishlist is attached), or donating financially and we will shop and/or make a financial donation as one. Last year we donated over 100 cards, plus 20 necessity packs for the burn unit, and clothes and toys for the hospital. 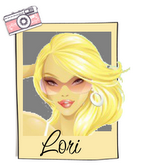 Sherry's blog is HERE and her FaceBook Event page is HERE. She is making this a year round project!!! One thing I found out after I sent my blank cards in, she wants some of the cards to be signed by us to give to the patients!! Here are some of the other cards I am sending Sherry. Some are cards I made for blog hop projects, others are old designs that I had saved on my Gypsy and just re-cut. This is my feature card. I used Gypsy Wandering for the frame and flower. I put two of the frames on the screen at 4 inches. I hid the inside of the left frame and welded the two together. I added the flower shadow layer inside the frame sized to 3.47 inches. I also placed the flower (also sized to 3.47 inches) on the mat. I ended up cutting a second card in pink and trimmed off the left side to make a background color. I added some stickles to the center of the flower. I hope you consider making some cards to send to Sherry!! I sent cards last year and am happy to send some each year. Thank you Felicity (and Happy Birthday) for giving me the opportunity to share this with so many people today in the blog hop!! Thank you for stopping by my blog today!! Your next stop is JULIE!! 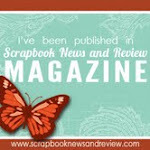 You have 2 weeks to create and link up your project on the side bar at the Frosted Designs Blog. I used a phrase from Winter Frolic for my title. I sized Oh Christmas Tree at 1.35 inches. I chose two shades of green cardstock for the cuts. I adhered the C R S M S onto the title. I wanted the title to stand out a bit, so I cut out a tag to adhere it onto. I found this tag on CTMH Artiste and sized it to 1.59 inches. I cut out two tags since the paper I used was thin. I adhered the two tags together, then adhered the title on top. I used my Tim Holtz distress marker (Barn Door) to ink the edges. I cut these ornament borders from Winter Frolic at 1.47 inches. I ended up cutting out two each in red, green and gold metallic cardstock. I trimmed 1/8 inch off of each edge of my music cardstock to create a border behind it. I kept one of the strips and adhered the ornament borders onto it. I overlapped the ornaments to add interest. I adhered this strip down on my layout under the pictures. I adhered the ric rac ribbon on top of the border strip. This give me an ornament banner. This quote was on the bottom of the music cardstock - the 1/2 inch that has the bar code that you typically cut off and throw away. I trimmed it out, inked the edges red and created a border with a scrap of green cardstock. I started out making my own doilies out of cardstock, but then I found these red doilies. They are leftover heart shaped doilies from Valentine's Day. I really like the red color! I trimmed them and positioned the doilies to look like circles. I adhered the title on top of the photo. It may be hard to see in the pictures, but the song printed on the cardstock is Oh Christmas Tree - how perfect for my layout!!! I also loved the cardinal in the bottom corner so I made sure not to cover much of him up. Don't forget to dig out some of your doilies and create a layout based on the sketch! Join us at Frosted Designs!! 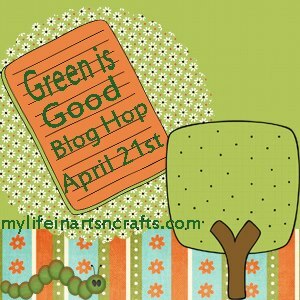 Hello and welcome to the Green is Good Blog Hop!!! We are creating projects out of something recycled or re-purposed. There are tons of ways to get greener in everyday life and today we are showing off our creations to celebrate Earth Day 2013. If you found me first, please head over to the BEGINNING so you don't miss anything (especially her blog candy)!! He drilled a hole in each ball. Look what came out of the middle!! I untwisted a wire hanger and strung the balls on it. I twisted the ends together using pliers. I found this baseball glove on Boys Will Be Boys and sized it to 3.50 inches. I re-used this banner flag. It was an extra piece from another banner. Both of my boys are playing on baseball teams and wearing blue. The red and white twine is from a Christmas candle. It was tied around the top as decor and I kept it. I inked the glove and layered the pieces. I glued on some knots from leather cording to make the glove look real. Here is a close up of the glove. I strung the banner with the twine and a couple of strands from the burlap ribbon. I tied the banner to the sides of the wreath. I tied a bow out of burlap ribbon and attached it to the top of the wreath. This wreath hangs on my front door! Thanks for stopping by!! Your next (and final) stop is Holli! 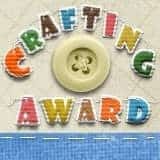 Little Prince Blog Hop Winner!! !